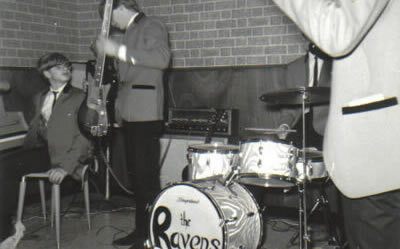 Raven Sound began as the vision of Phil and Tim Papotnik. 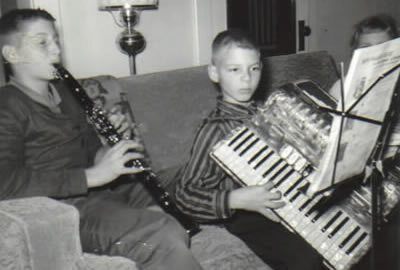 Tim loved anything with keys, while Phil wanted to charm the world with sound. You could say they owe it to their late dad, C.J., who loved to play accordian, dance polkas, and show off his boys. They not only learned a love of music through him. He always wanted them to perform with him as youngsters. So they had to practice if thy didn't want to embarrass themselves in front of lots of friends and strangers. From the polka gigs with C.J., they advanced to playing in bands with their grade school peers. Both joined steadily performing bands by their early teens, by which time they had progressed through many musical instruments. Phil balanced guitar with horns (tenor & soprano sax, flute and clarinet) as his primary instruments. Tim became the region's leading Hammond B-3 and keyboard player. 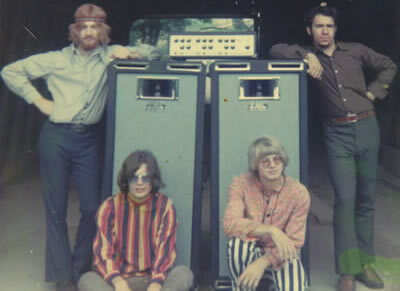 Phil was recruited by the regionally-known band, The Raiders. And when the time came, they naturally formed The Ravens, since Phil has carried that name in his heart since childhood. By the late 1960's, Phil and Tim had formed the highly successful progressive rock band, Phillippe, and had built a massive following. They traveled throughout the northeastern U.S., playing in clubs and auditoriums in Boston, Philadelphia, Pittsburgh, Cleveland, Toledo, and beyond. Like most road musicians, Phil, Tim and their bandmates strove for unique, excellent sound, polishing their music and acts, and investing in gear as they could. As Phillippe played to packed houses throughout the eastern U.S., Phil and Tim realized the challenge of playing with enough volume and clarity to be heard by audiences of all sizes. Most equipment of the day just didn't work for audiences larger than a few hundred people. And their conviction became stronger as they performed and recorded with regional and national musicians, and provided equipment repair services to them. Phil had a vision of creating Raven Sound to solve their own performing challenges, and those of other musicians, while enabling them to continue their love of playing music. So they juggled families and careers, saved the initial funds they needed, acquired property and built their first warehouse. 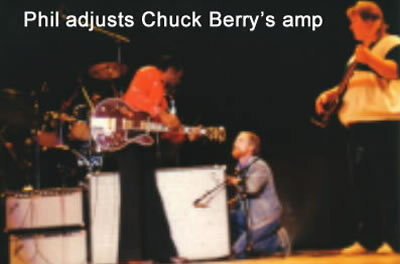 With early partners, they purchased their first "Public Address system", as sound reinforcement gear was known at the time, a JBL 4550 system which still functions, and sits in the Raven Sound Warehouse. And In 1970 they opened Raven Sound's doors to the public, providing sound reinforcement, equipment rentals, sales and service. Every year since 1970, they have grown. They bought a 40,000 sq.ft. building on busy Peach Street in Erie, and began restoring the 100+ year old school building to include offices, retail, commercial, music teaching and musician practice space. Tim expanded the service department, then opened a musician's retail store. They split equipment rentals and large sound engineering jobs into separate departments, added a recording studio, and began equipment installations throughout the region. Phil has continually invested back into the business, adding high-end analog mixing boards, outboard processing gear, the best microphones, and so much more. Phil learned sound engineering from the world's best, and built a team of highly talented sound engineers who travel North America with major touring acts when not serving the festivals and venues that Raven supports or manages. 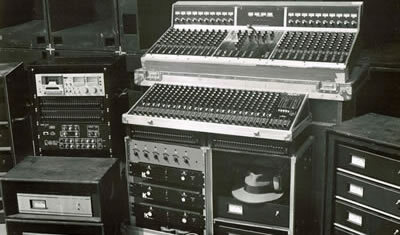 And when the digital revolution came along, and Phil started over, maintaining the pro analog gear for those bands that prefer it, but adding digital boards of all sizes and ancillary equipment to meet every touring rider. 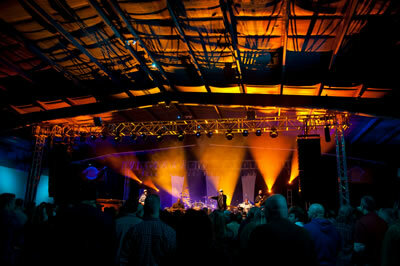 Raven now has major inventories of lighting and multiple stages, with equipment maintained in four U.S. locations. 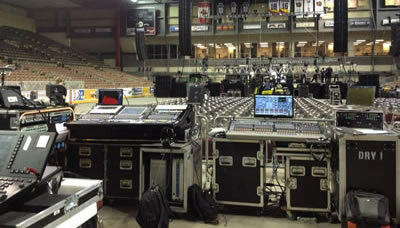 Raven Sound, through its 44 years has served thousands of live production clients across the globe. In addition to its Erie presence and major festival and event work, Raven serves the Cleveland, Buffalo, Pittsburgh tri-state region. 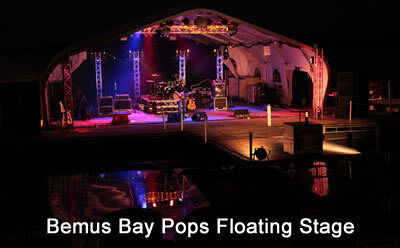 Raven provides annual venue management for the Bemus Bay Pops, providing sound, staging, lighting, and light shows for the 60x60 floating stage on Chautauqua Lake, and producing 40 to 50 shows every summer. Based on our 16 years of experience with the Pops, we now provide sound design to Floating Stage Productions. Raven continues to provide annual venue managment for Allegheny County, PA, porviding providing sound, staging and lighting for all events at the 629-acre Heartwood Acres Park, as well as the annual Pittsburgh Blues Festival and other concerts throughout the season. Raven also provides all of the sound and lighting equipment for Track 29 in Chatanooga, TN, the third largest concert venue in southeastern U.S. Working in conjunction with Track 29 and Catalyst Productions, Raven's gear now serves Tennessee, Georgia, and beyond. Are You Part Of Raven's History Yet? Every year we get to bring the sound of thousands of musicians to the ears of appreciative audiences throughout the country. We hope we get to serve you.